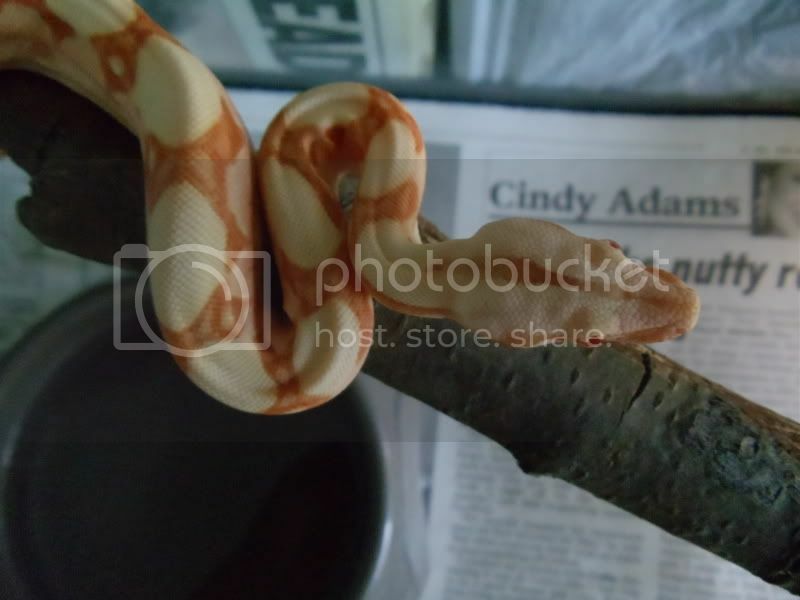 My sister is becoming just as addicted to reptiles as I am. She really likes my boa and decided that she wanted one for herself. That’s not to say it was a spur-of-the-moment thing. She had been playing around with the idea for awhile, not to mention that I’d love to get into breeding them one day. More than likely though, this new addition will just be another member of the family. This little guy and his siblings were actually an accidental litter. 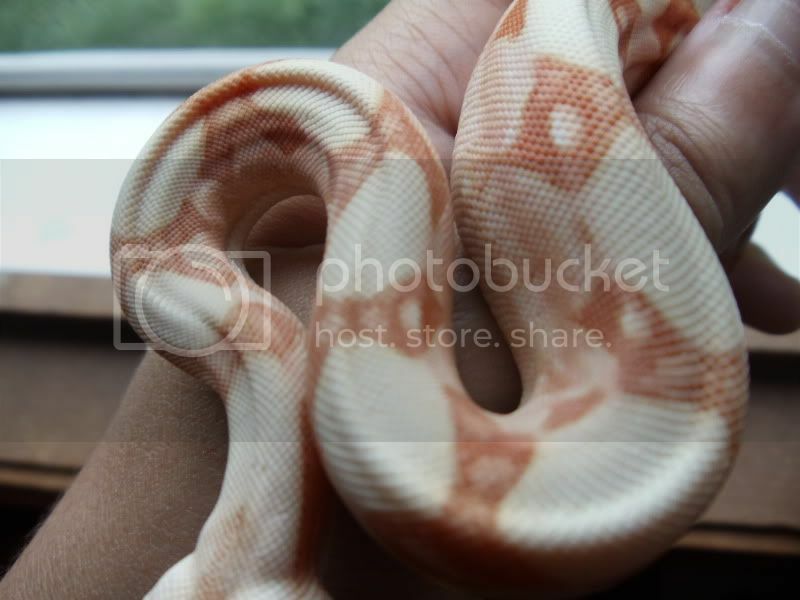 The breeder we got him from received a Boa that had been previously co-housed. 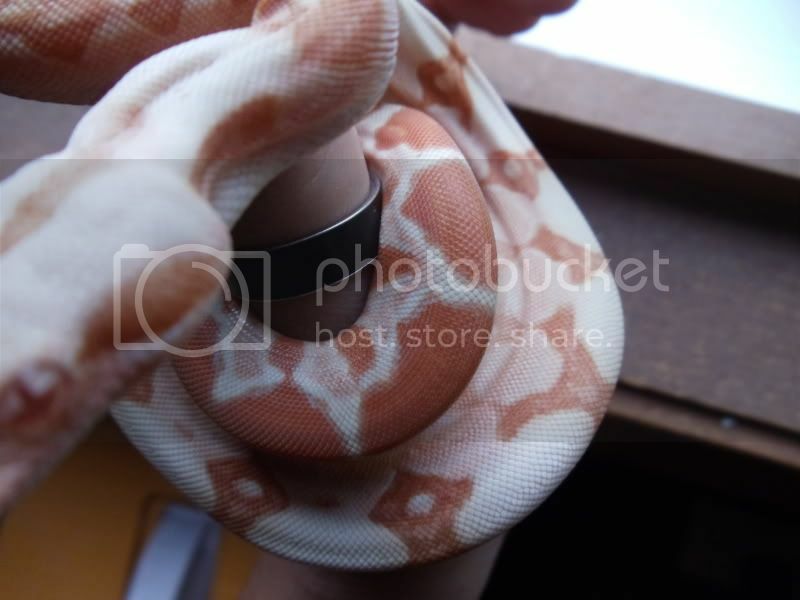 The original owner apparently thought they were the same gender and ended up sending the boa pregnant. She dropped a small litter, but of course he had no plans for them so he offered us this little guy cheap. Anyway, here are some pictures of the little guy! We just got him Sunday, so these were just quick pictures. He has a lot of pink on his sides. I love it~ I do have one question though. 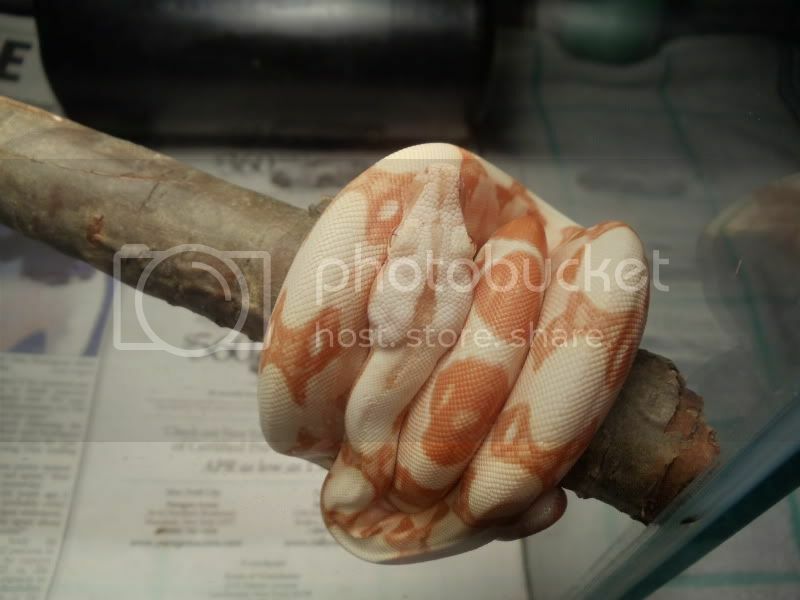 I’m not sure what Albino strain he is. I’m not sure the breeder knows either, seeing as this was a surprise litter. I know I could breed him to see which strain, but is there any visual clues I can look at? I know it might not be 100% accurate, but I’ll take a guess lol. Really beautiful baby. I havent worked with morphs a lot, so cant answer your Q for ya, sorry. 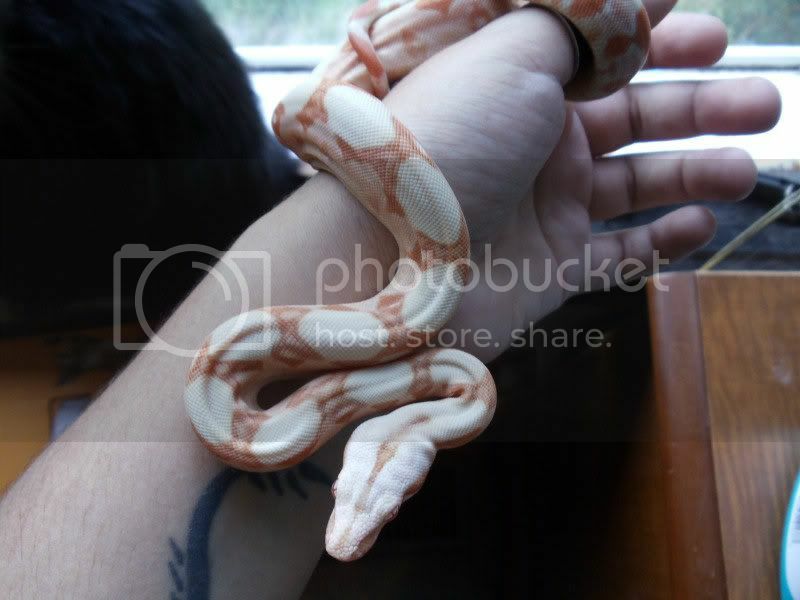 My sister bought him for $375, but as I said, the breeder isn’t sure what strain of Albino it is either. I may just end up having to prove him out later down the road.